Aappa Kadai is one of the top destinations in Dubai Marina to savour the true flavours of India, as this international chain serves authentic Indian and Chinese dishes, which are favourites among all nationalities. Because of its quality and great taste Aappa Kadai had also won numerous honours and awards, which are the proof of its success in a very short period. This multi-cuisine restaurant serves both veg and non-veg food that ranges from Aappams to Tandoori, Chettinad to North Indian and Chinese fare. All these dishes are served in a neat and clean interior that is well decorated. In addition to this, Aappa Kadai’s management also pays lot of attention to hygiene, so they provide the top quality food to their customers, which is cooked in an open kitchen. 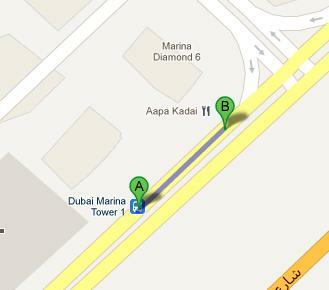 Aappa Kadai in Dubai Marina serves a variety of cuisines, which includes Indian, Chinese and vegetarian dishes. The authentic flavours of Indian fare at this restaurant have made it a hot favourite in the books of all communities living in Dubai as well. This eating place also offers outdoor catering service, in which Aappa Kadai serves its delicious food varieties, which range from subtle to intense. They can arrange outdoor catering from 30 to 10,000 or more people. In addition to this, takeaway and home delivery services are also available through which people can relish the luscious food of this bistro at a private or work place, aside from dining in. 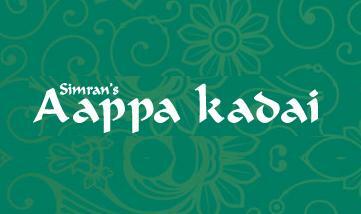 To see the extensive menu of Aappa Kadai, click here! People can savour food at Aappa Kadai between 10:30 am and 3:30 pm, while in the evening their operations begin around 6:30 pm and come to end at 12:00 am. Shop no 3, Diamond 06 Building, Dubai Marina, Dubai, United Arab Emirates. The best way to reach Aappa Kadai restaurant in Dubai Marina is by bus or car, as the nearest metro station from this spot is more than 2.3 kilometres walk away. Dubai Marina Tower 1 is a bus stop that is hardly 64 metres away from the Aappa Kadai Restaurant, which makes it a minute's walking journey approximately. To achieve this status bus passenger needs to head in the northeast direction from this bus stop and to reach Dubai Marina Tower 1 bus stop he or she can use bus number F37. Follow the directions on the map.